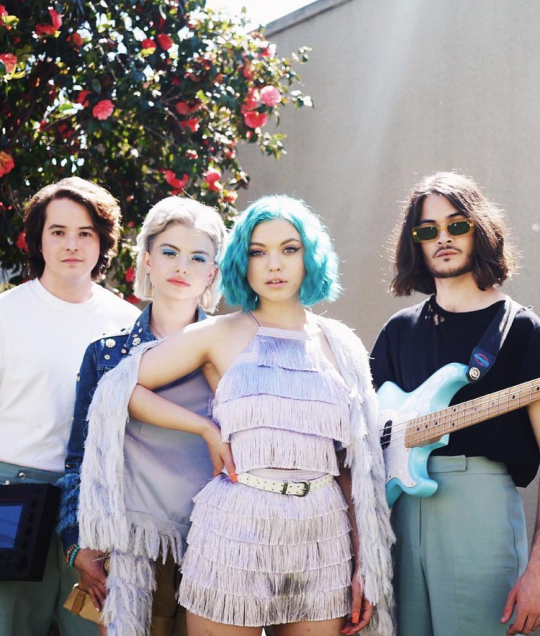 “There must be something in the water / Over here in California” because Los Angeles based pop-rock band Hey Violet just released an empowering breakup bop. Just in time for spring cleaning, it’s time to rid yourself of all the toxic relationships in your life, just as Hey Violet has. Typically, break up songs are melancholic, ill-spirited songs of heartache and pain. Yet, Hey Violet steps outside of that box to deliver an upbeat tune of relief and self-love. Recognizing that something, or someone, is bringing you down and actually doing something about it are two insanely difficult tasks that Hey Violet overcome. After the initial rush of freedom dies down, it can be easy to welcome solitude with open arms and isolate yourself to excess. “Better By Myself” aims to encourage people to escape bad relationships but stray away from completely isolating yourself because being totally alone isn’t always the best choice. Their ingenious use of impeccably crafted lyrics and a lively melody really bring this song to life. 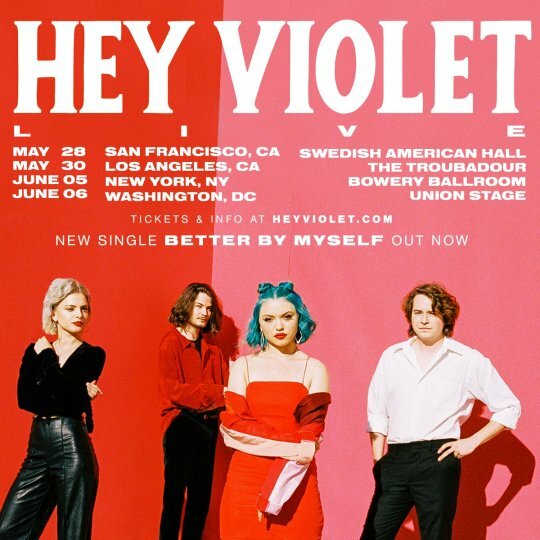 The music video for “Better By Myself” transports us to Hey Violet’s bright, shining world of liberation. The vibrant colors used throughout the video, from the outfits, backdrops, and Lovelis’ electric blue hair, are the perfect representation of how limitless and dazzling the future can be when someone isn’t standing in the way. Be one of the first to hear this banger, and many more of their new songs, at one of the dates down below.